Silicone chocolate candy molds are made from FDA-approved food grade silicone. 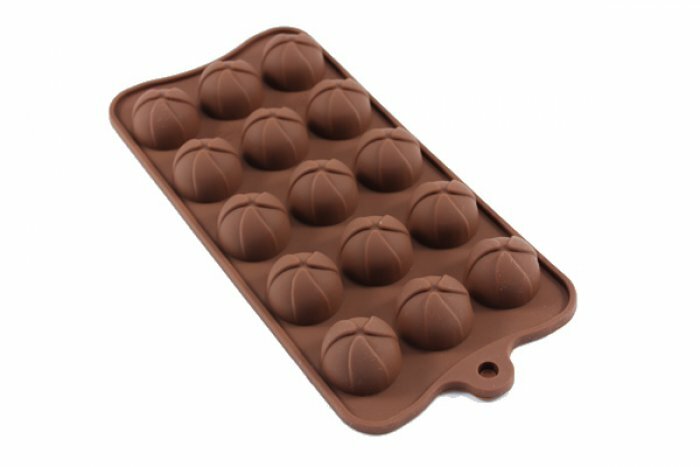 These silicone chocolate and candy molds are durable, seamless and flexible for easy release. This mold creates 15 half circle square shaped candies. Oven, freezer, microwave safe too!